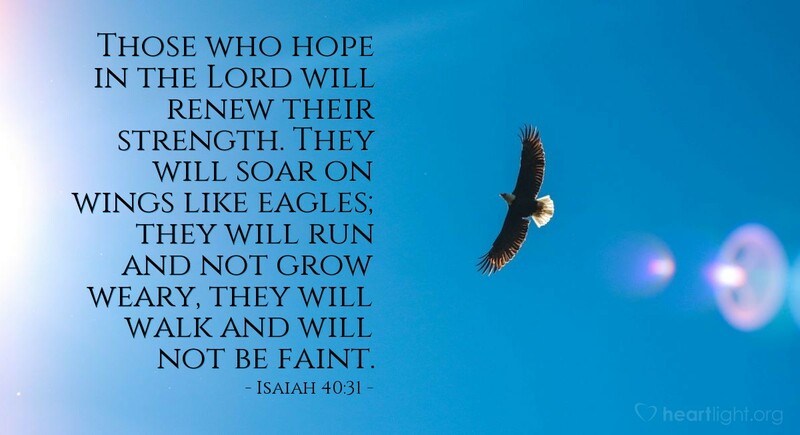 It is easy for us to live victoriously for the Lord when we soar on the wings of eagles. It can be exciting when we run and don't grow weary in the work of the Lord, buoyed by his power and presence. But it often takes heroes to keep walking and not faint when trying times come. Keep on walking brother and sister. The Lord is there when you most fear he has forgotten you! Majestic God, whose voice holds together our universe, give those who can barely walk the strength to continue as they face the stress and assault of the evil one. I specifically want to pray for those I know personally who are facing trying times. Please, dear LORD, give them strength and meet their most pressings needs. Through Jesus, who conquered Satan, sin and death, and in the power of his holy name I pray. Amen.